If you're one of those who have shifted the ERP processes of their business on the cloud and rely on NetSuite, the gold standard for online business management, it's time to take a quick look at some of the tips and tricks provided by Inspirria Cloudtech, a leading NetSuite ERP Consultant that would go a long way to make working on NetSuite even more easy and efficient. 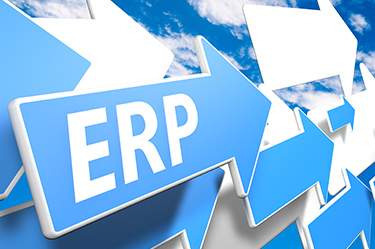 Though the NetSuite ERP platform eliminates manual processes and integrates every department of a business seamlessly with each other, these tips and tricks would definitely save a lot of time and make the workforce even more efficient. Whether you're a novice or a seasoned user of Netsuite ERP, there are some tricks to the trade that make your job a lot more easy and effortless at the same time. Here's a discussion on some such tools from Inspirria Cloudtech, a leading Netsuite consulting agency. Global Search: Think Global think Google. Well, we are talking about the all new and powerful 'Global Search' in Netsuite ERP platform. A robust search functionality that allows to access key business data and information on the cloud, such as new leads of customers and contacts and transactions that are already through or are in the pipeline, this search function makes things as easy as 1-2-3. You just have to key in the search terms consisting of letters or numbers (min. 2 characters) and hit enter and presto, you've got all the information at your fingertips. Such is the power of this search tool. Moreover, you can also select the way the search results are displayed on the screen. You can either select to view the search results via the drop down menu just below the search box or you can view it 'Google style' by hitting enter and the results would be displayed on another screen. Specific Search: Another interesting feature within this tool is the underscore (_) and the percentage sign (%). Both are targeted at increasing the search efficiency. For example, an underscore (_) within the search term would return results with any character being substituted at that location, whereas, placing a percentage sign (%) within a search term would return results with a string of characters being placed in that location. To elucidate on this matter, let's say you search for Jo_n. This would return results such as John, Juan, Joan etc. On the other hand, if you search for Jo%n, it would show you results such as Johan, Joaqin, etc. Moreover, you can also search for phone numbers, employees or access information from saved search results on NetSuite ERP. Customer Dashboard: The second tool in NetSuite ERP and one of the favorites amongst NetSuite ERP consultants is the Customer Dashboard, whereby one can search for customer specific data like the total number of sales made to that particular customer within a given period of time and also which particular products did that customer buy. It's like having a full dedicated page on each and every customer with all the required bells and whistles. One just needs to type in the name of the customer in the search box and select them likewise for a more detailed view of each of them.